We talk about photo management quite often here at AppAdvice. The ability to take high-quality images and video is becoming easier than ever, and with that, management solutions are becoming more and more comprehensive. As you could imagine, trying to figure out what to do with all of your photos can be a bit of a struggle. Since it’s a lot easier to take photos than it is to store them somewhere, find them when you need to, and share them, a lot of iPhone users – smart phone users in general, really – are stuck in an awkward position. You might have a lot of photos and videos on your iPhone, and may think that you’re going to back it all up eventually, but accidents happen, and it’s too often that precious data is lost. With great photos becoming a lot more valuable and attainable in this day and age, where do you turn when it comes to keeping them safe and sharing them most efficiently? Note: From now on, any reference to “photos” or “pictures” will also apply to videos unless otherwise stated. Even though there are many different apps, services, and platforms you can throw your photos into, there are some important things to consider. For no particular reason besides trying to make this more fun, I present what I’m deciding to call the “four S’s of photo management,” and will bold them whenever they are mentioned to be sure that they’re all recognized. 1. Saving: If I could only focus on one important aspect of photo management, this would be it. Besides taking them in the first place, nothing is more important than making sure that high resolution copies of all of your photos are safely backed up somewhere other than your iPhone, or whichever device they were taken on for that matter. This could include any combination of device backups or cloud services. Redundancy is key here because things can go wrong any place at any time. And as an added bonus, you might be able to save some precious storage space on your iPhone. 2. Syncing: It’s more of a luxury than a necessity, but having access to the same pool of photos from any device is also important if you want to make your experience as effortless as possible. Changes to your library such as adding or deleting photos, along with any edits made, should carry over across devices. Plus, having all of your photos uploaded to a cloud service at full resolution can also serve as a great backup method. 3. Searching: What’s the point of setting all of this up if you can’t easily find a photo you’re looking for at a later time? Having a solution that allows you to find a photo while knowing little about it is critical. 4. 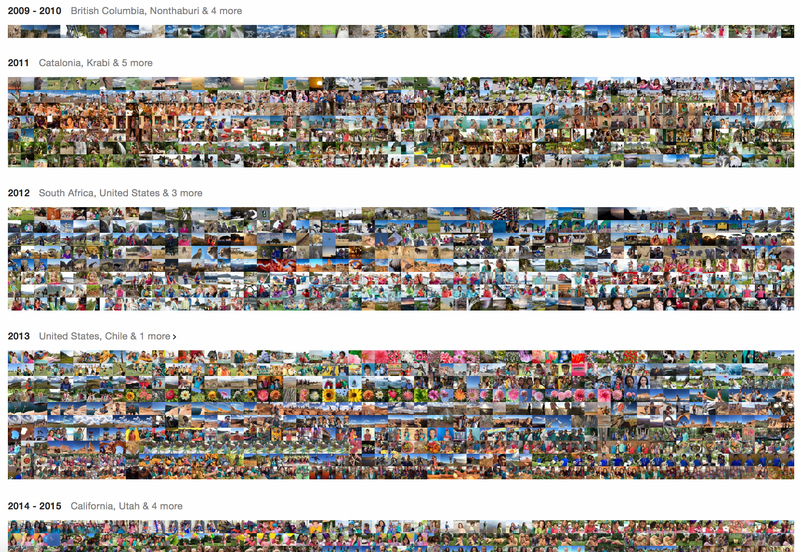 Sharing: Welcome to the 21st century, where for every 10 photos you take, there are 100 places you can share them. Finding a few places that work for you and sticking to them will make your life a lot easier. There are who-knows-how-many other platforms that can do all of the important things with your photos, but for now, let’s focus on what Apple offers. If you’re an iOS user, this will make the most sense for you – and even more so if you have a Mac. When it comes to saving and syncing your photos, there are a couple of options. The one option that is free is called My Photo Stream, which will sync your most recent 1,000 photos in one feed between all of your devices. The one caveat with this is that you manually have to keep track of actually saving them. So if you take a photo on your iPhone, for example, and want to have it on your Mac, you’ll have to go into the “My Photo Stream” album from your Mac and transfer it to your Photos library from there. It’s a bit of a hassle and requires memory on your part, but it’s not a bad free option. Another thing to consider is that, of the four S’s, all this option covers is syncing. The next option, which all of us here at AppAdvice would recommend highly over My Photo Stream is called iCloud Photo Library. There is no additional fee for using the service itself. However, you will most likely need to pay a few dollars a month to purchase enough iCloud storage space. 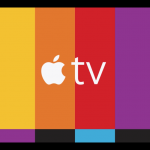 Prices vary, so check out Apple’s website for pricing details in different regions. The reason we suggest the iCloud Photo Library for saving and syncing your photos is because this is the most effortless option for Apple devices. The main feature of iCloud Photo Library is that, by making iCloud the main container where your photos reside, your photo library will look and function identically across all devices. It’s as if you have one photo library, with each device being a window you use to access it. And with storage optimization features, you can let iCloud do all the heavy lifting and save space on your iPhone, iPad, or Mac. If you take a photo on one device, it gets added to your library and shows up on all of your others. If you use the built-in editing features to make changes, those changes instantly take place across the board. Deleting photos will cause them to move to your synced “Recently Deleted” album, which is a 30-day purgatory where deleted photos will stay in case you want to recover them during that time. Every photo is organized into events based on time and location, and all of them are fully searchable by these parameters. Even faces of those in your photos can be detected and searched through if you’re on a Mac, however this feature is not fully supported in iOS at this time. More search features are coming in iOS 9 and OS X El Capitan. The appropriately named iCloud Photo Sharing feature allows you to create shared photo streams that other iCloud users can use too. It’s as easy as creating a new shared photo stream in the Photos app on any device, inviting others to participate, and using the built-in share sheets to upload photos. Subscribers to the stream will receive a notification when you’ve added photos, and can save pictures to their library. You can even comment on or “like” photos. Finally, this option is universal in that it allows you to share a link to a stream with others so they can view and download high resolution versions of the photos with a click from any Web browser. And there we have it: a practical and social photo management solution that works effortlessly across Apple devices. 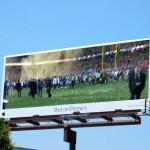 Apple’s iCloud undoubtedly satisfies the criteria of allowing for saving, syncing, searching, and sharing your photos. 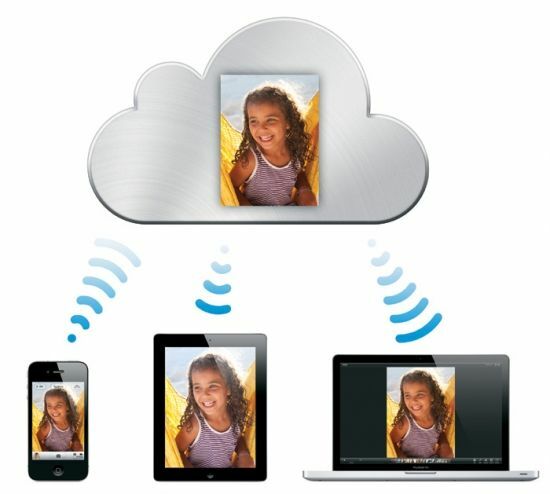 You can access photos that exist in your iCloud Photo library and Shared Photo Streams anywhere on the Web, including on Windows and Android devices. And while Apple’s Web apps are good, they’re not the most elegant option, so a native solution is often better if you want to have your photos exist across platforms. One important thing to consider with this, though, is that nothing will be able to replace the Photos app and iCloud when you’re running iOS. No third-party app or service will be able to sync as instantly in the background, or be as integrated with the rest of the operating system, and iOS’ limitations are to blame for this. So while third-party options can be a great compliment and work better across platforms, it’s nearly impossible to completely ditch Apple’s solutions. On the bright side, all of these solutions can be used alongside iCloud since they automatically upload photos, which is great for when it comes to backing up. Remember, redundancy is key. Without going into too much detail, a few cross-platform options come to mind that can save, sync, and search your photos. Some can also share, depending on the service. Google Photos is probably your best bet if you want to work across Android and iOS. It functions just like iCloud Photo Library, and even includes sharing, but of course this leverages Google+ instead of iCloud. That said, they did a nice job adding in all the hooks, so you can share to iCloud Photo Sharing from Google Photos. 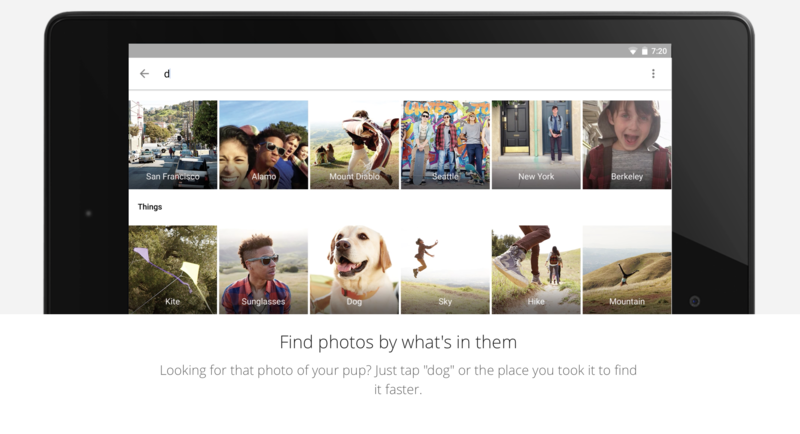 In most cases, Google Photos manages photos better, like with search, for example. Google’s magical cloud computers are smart enough to scan your photos to detect objects and faces so you can search for “dog” or “banana” and get relatively accurate results. The only thing we’re unsure about is whether this is cooler than it is creepy. Another thing that Google Photos has over iCloud is that it will store “high resolution” versions of your photos in unlimited quantities for absolutely free. Now, what “high resolution” is referring to exactly is unclear, and there is the option to store original full resolution copies given you’re paying for adequate Google Drive storage space. That’s a much better deal than Apple’s free offering of only 5GB of space in total. Google Photos automatically made this GIF image from a series of photos. Finally, the one feature that Google Photos has that iCloud can’t compete with in its current state is called Assistant. 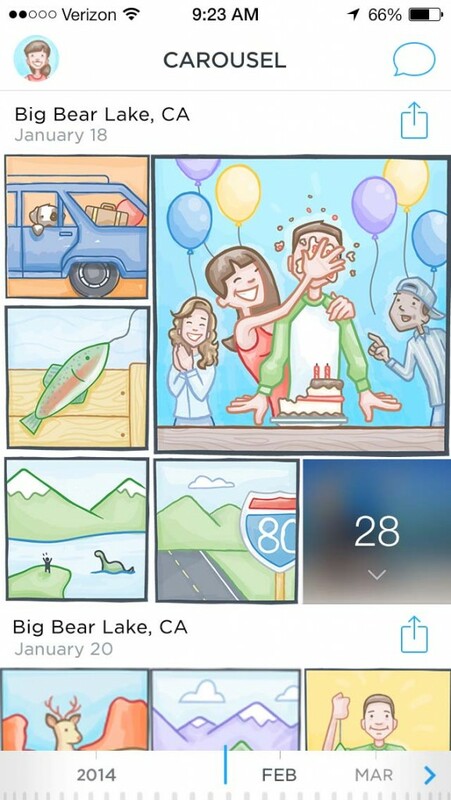 After uploading all of your photos to Google’s servers, they are automatically analyzed before the Assistant begins putting together automated collages, video and photo slideshows from specific events, and even animations if it detects burst photos that could be stitched together to create a short movie. This all happens behind the scenes, so when you navigate to the Assistant within the Google Photos app, unique ways to relive memories are there waiting for you. Sure, your data is being hosted and rigorously analyzed on Google’s servers, which may be a concern for some, but this is a small price to pay for this more exciting way to experience your photos. For a more detailed look at Google Photos and its other wizardly abilities (yes, there are more! ), Jeff Byrnes has you covered. 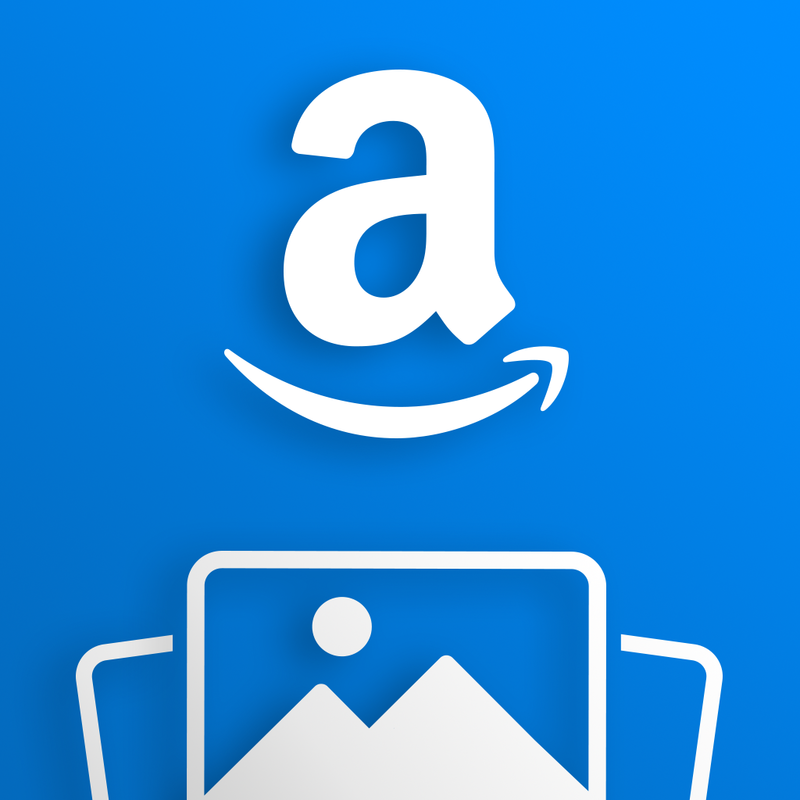 Amazon Prime Photos, a part of the $99 per year Amazon Prime service, is another suitable cross-platform option. While it doesn’t provide anything special when it comes to searching, it does the job when it comes to saving, syncing, and sharing photos across devices, and again, if you already pay for Prime. It’s free full resolution storage. Our Sandy Stachowiak tells us more about what Amazon Prime provides, which includes this photo service, among other things. Carousel by Dropbox is another noteworthy photo management solution, particularly for those who already have their photos saved in folders in Dropbox. Carousel itself is an iOS app and Web solution that displays all of these photos in a prettier way. Dropbox also has the ability to send links to files and folders to anyone, which makes sharing a breeze. If you’re interested, my colleague Gan Sharma’s guide to using Dropbox and Carousel is a good read. If there’s anything to take away from this, it should be that finding a photo management solution that works for you is what’s most important. Regardless of which method you choose, it’s best to be sure that you’re covering those four S’s of photo management: saving, syncing, searching, and sharing. Even though you can’t go wrong with any of the photo management solutions covered here, it’s hard for us to recommend anything besides iCloud Photo Library when it comes to dedicated Apple device owners. This will always be the most tightly integrated solution within iOS, and covers all aspects it needs to. However, there’s nothing stopping you from using Google Photos – and might I remind you, this would be absolutely free – alongside iCloud to take advantage of its greater intelligence. And if you’re looking for a cross-platform solution, Google Photos should be your go-to option. Now we want to ask you: what are you doing with your photos? Feel free to share what your current solution is in the comments, along with any changes you plan on making or questions you have.